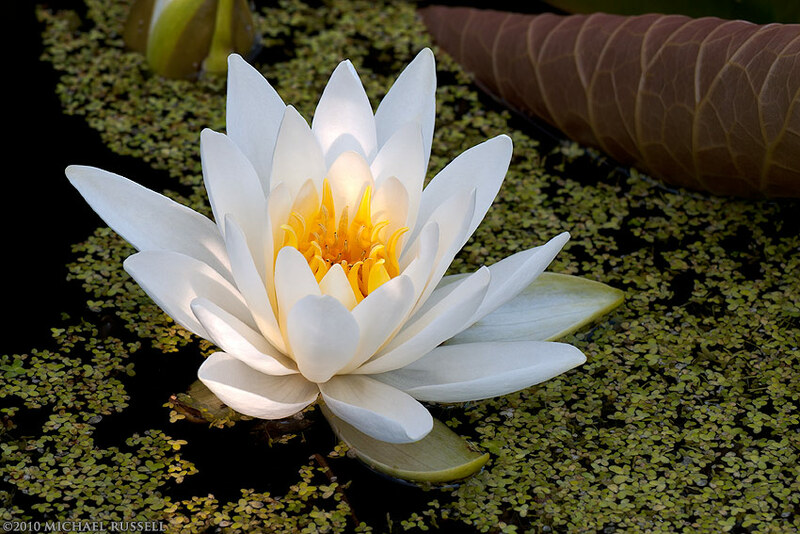 I made a series of photographs of these water lilies in a backyard pond last year. Many many photographs – so much so that this took me a while to go through and determine which ones I liked the best. This is one of my favourite angles, but was different from others that had nearly identical compositions. The few rays of sunlight that are falling on the flower made all the difference to this particular shot, and images taken immediately before and after did not have the same sort of impact. The great part about this is that I don’t recall noticing the direct sunlight at the time, so this was a happy accident when I was sorting through them later. I am often finding that if I stay with a subject for a while, and shoot a variety of compositions, not only will I find the winning composition, but something unexpected may also occur that changes the impact of the photo. Certainly a case for making more than one photo of a specific subject. Lovely colors and a great sharpness.